At a very young age, Prince Solanon learned that entrepreneurship can be a person’s ticket out of poverty. Realizing that his family needs his help, Solanon temporarily stopped schooling in order to sell cottage cheese or “kesong puti”. Solanon, who went viral on social media in 2016, was featured in ABS-CBN’s My Puhunan. Everyday the young entrepreneur along with his father Dodong would endure a 3-hour bus ride from Santa Cruz, Laguna to Makati to sell the cottage cheese they make. The father and son tandem strategically sell a pack of four cottage cheese for P100 behind a popular mall along Filmore street in Makati City. Rain or shine, the pair would endure the hardships of selling just to earn money. Despite being young, Solanon would gladly pitch his products even if it would take them until evening to sell out. In addition, Solanon would sweep the street in front of the restaurant where he sells so that they would be allowed to sell there. Kindhearted restaurant staff would sometimes give him food to eat. Although his trending story on social media helped increased their sales, Solanon admitted that their earnings still weren’t enough to support their family. 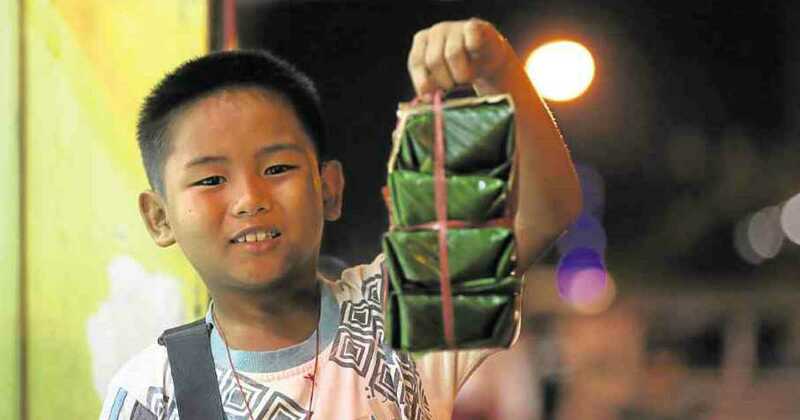 The young boy hopes to be able to go back to school with the help of their kesong puti business. Heat milk and salt in a double boiler for 15 minutes. Turn off the heat then add vinegar. At this point, curds will form. Allow the mixture to cool and set aside for at least an hour. Once the mixture is cool to touch, pour the mixture over a fine-screen strainer in order to drain out the whey or the yellow liquid forming on its top. The resulting curd should be creamy and spreadable just like kesong puti. Make the cheese firmer by pressing it down with a spoon or spatula until more of the whey drips out. To shape the cheese, place it at the centre of a plastic wrap then bundle the corners of the sheet to create a pouch. Put it in a cup or rectangular container then press down. Refrigerate for about 30 minutes then serve. Did Jollibee’s Viral Videos Drive Sales?